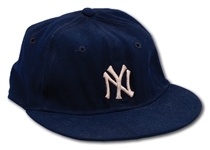 Offered here is a timeless 1950’s era Yankees cap worn by one of the greatest players to ever don the iconic pinstripes. 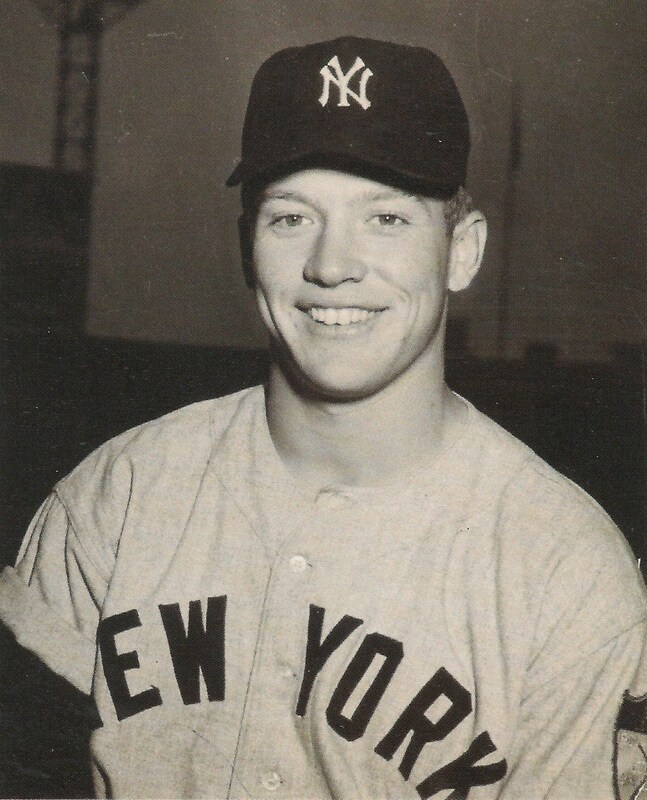 Mickey Charles Mantle broke through with the big club in 1951, a 20-year-old small-towner from Oklahoma, and almost instantaneously the Commerce Comet became a crowd pleaser with his flashy glove in centerfield and raw power from both sides of the plate. 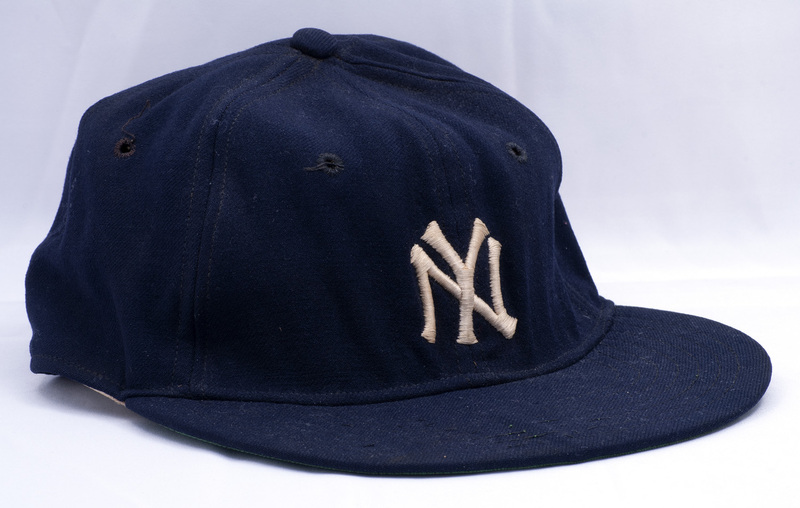 From 1952 until his final season in ’68, The Mick was an All-Star every year, and this game-used cap dates from 1951 to ’63 during which time he won three MVPs, a Triple Crown and seven World Series titles for the Bronx Bombers. A previous auction listing states that the cap was originally acquired by the owner of a Cleveland restaurant. 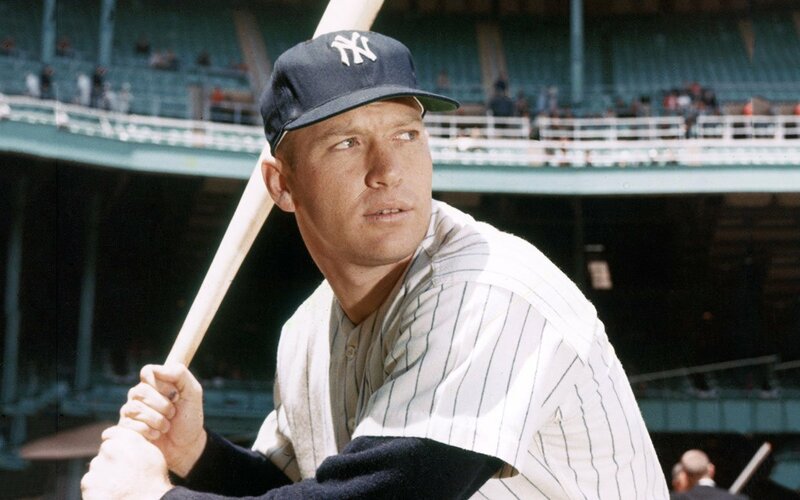 Apparently, the establishment was frequented by several Yankees in the 1950’s and 60’s during road trips to play the Indians, and Mantle gifted it to the owner as a token of gratitude. 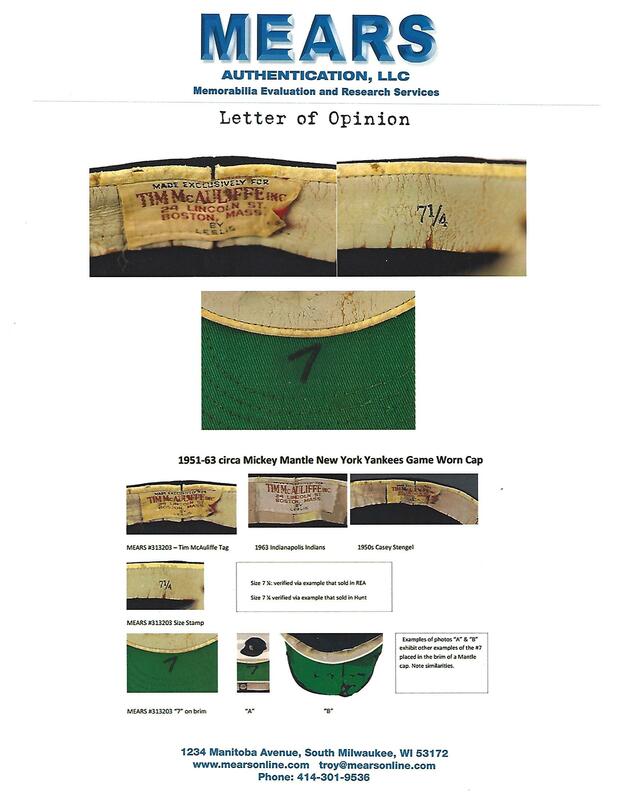 According to MEARS, the 6-panel design and 7-stitch brim matches other 1951-63 examples of McAuliffe-made Yankees caps. An Oct. 1, 1952 article from the Lowell (Mass.) 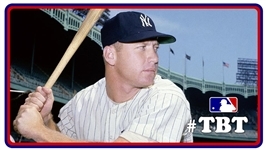 Sun notes that the Yankees wore a new set of caps made by McAuliffe for their series with Boston. 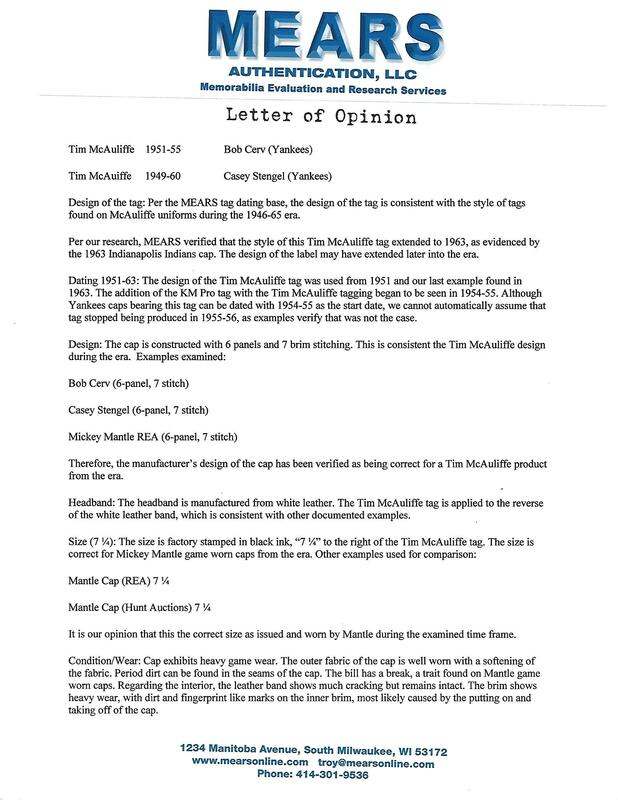 The McAuliffe tag sewn inside was used by the Boston company from 1951 through 1963. 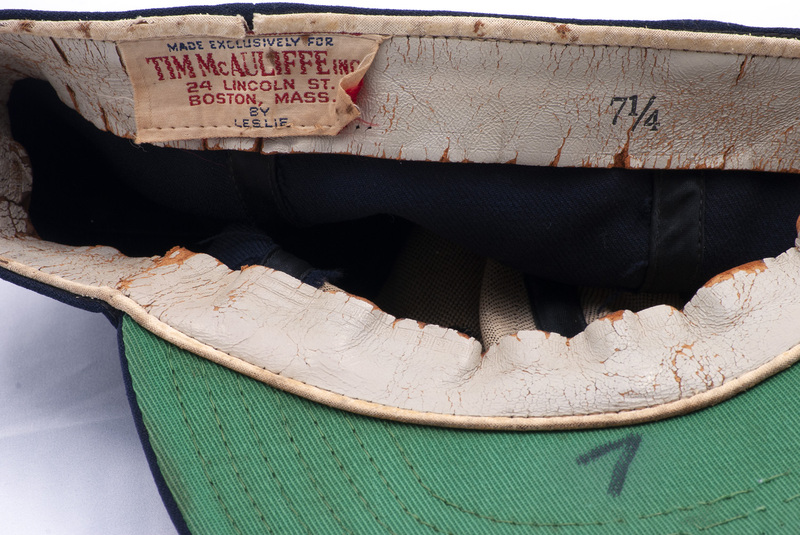 A “KM Pro” tag, which this cap does not have, was sewn alongside the McAuliffe label from around 1954-56. 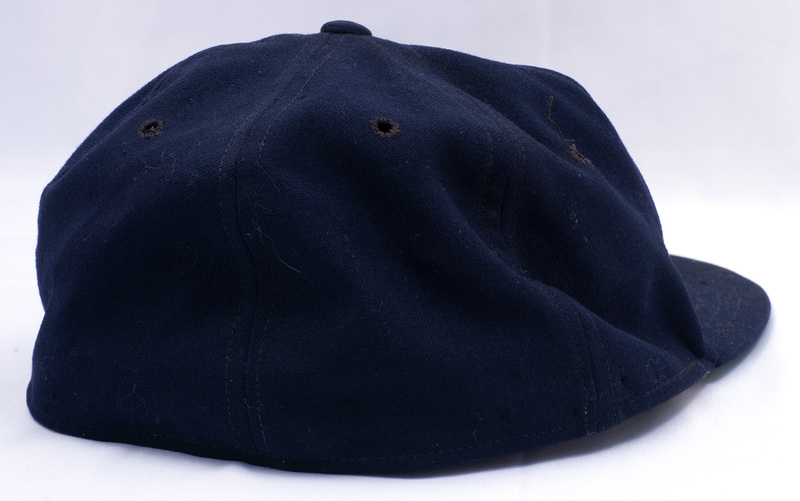 The classic navy blue cap exhibits significant wear with period soiling and sweating, plus a bit of sun bleaching. 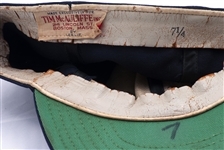 The white leather sweatband is stamped “7 ¼”, which is consistent with Mantle’s hat size. 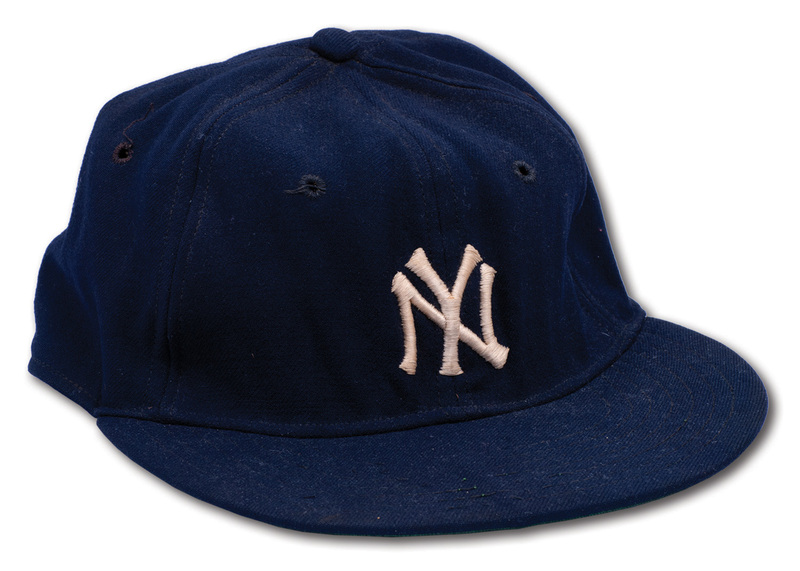 The break in the brim is also consistent with documented Mantle gamers. The sweatband has cracked slightly, but remains intact. The underside of the bill has appropriate dirt marks from removal between innings. 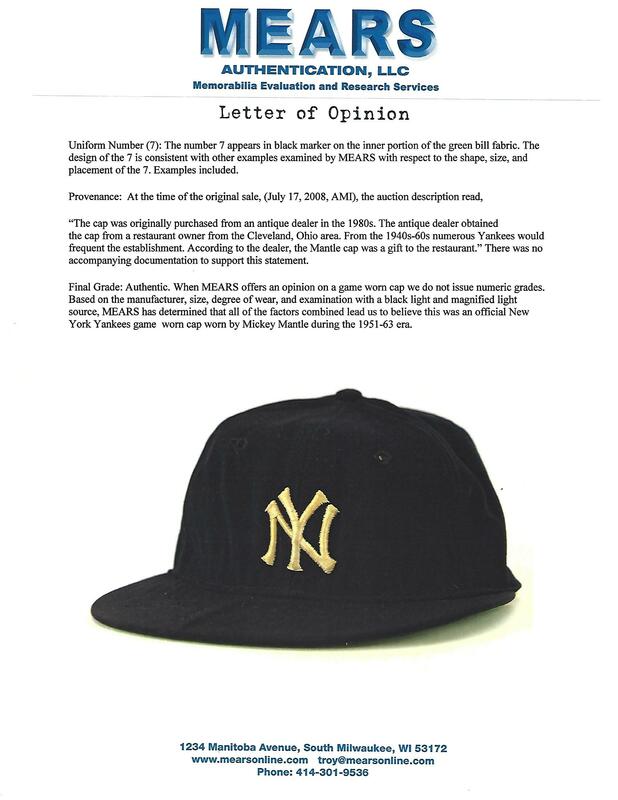 MEARS has concluded that the handwritten number “7” by Mantle in black marker underneath the brim is consistent with respect to the “shape, size, and placement” of other examples. 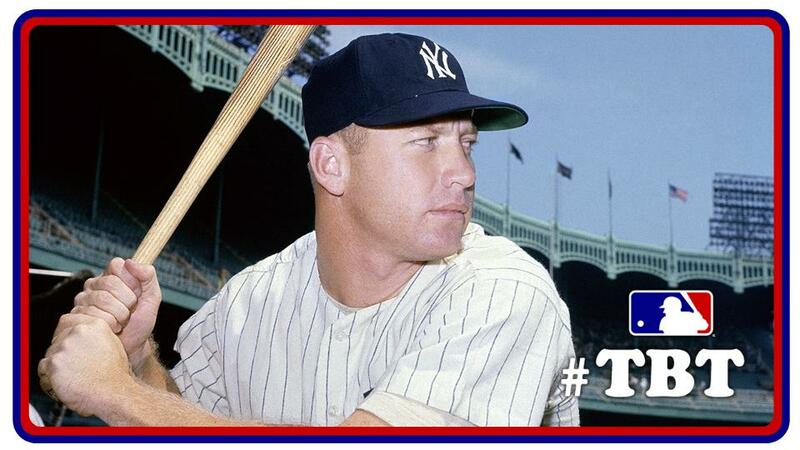 The importance of such a piece worn by the greatest switch hitter of all-time and one of the most beloved Yankees ever cannot be overstated. 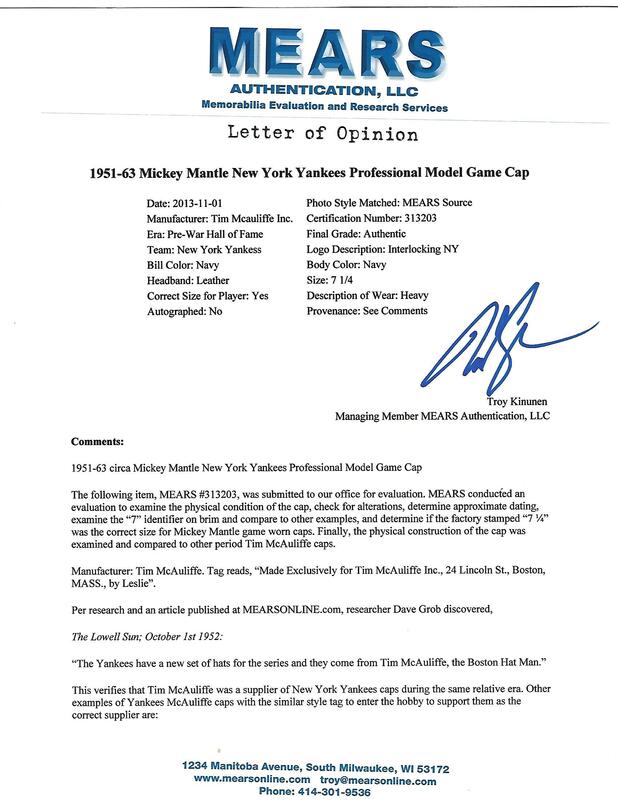 Includes LOA from MEARS with detailed authentication notes.